Anchor Therapy is a counseling center in Hoboken, NJ with psychotherapists specialized to help teens and adults with anxiety, depression, and life transitions. Whether you’re a first time mom or this is your 6th child, you want to feel like you’re raising your children in the perfect way. You want your child to grow up to easily have things that you have worked hard for. You want them to be safe and have all the happiness in the world. But no human is perfect. There is no such thing as the perfect mom and there’s no such thing as the perfect child. You can only do the best that you can and manage life’s challenges that come your family’s way. (To understand the difference between baby blues vs. postpartum depression read this article). It is common to feel baby blues for up to a few weeks after giving birth. Some of these symptoms such as sadness and/or anxiety may linger a little longer in a way that causes you to feel like you’re not doing your best as a mom. In the few weeks postpartum, you have to be mindful of how you’re feeling and recognize these are normal symptoms to have after giving birth. Give yourself, and your hormones, some time to adjust. The first time you leave your children at home with someone else (including your partner) you should expect to feel these emotions creep back in and the mommy guilt will probably be strong. Just remind yourself that this is normal and it will get easier over time. A lot of women don’t have the luxury of a long maternity leave and at some point may have to return to work. It’s possible that you also want to return to work to feel like yourself again and refind your professional self. That is okay! If you decide to return to work for whatever reason, just prepare yourself for a difficult adjustment period. You will most likely feel mommy guilt the strongest when you return to work. You will feel you are missing milestones and important moments that your child has. This feeling will get better over time, but it may not fully go away and that’s okay. As long as you can refocus your thoughts and remind yourself of why you are working and the positives that come about it to help your family. You want to make sure you have a plan and schedule worked out where you do schedule in time to spend with your children outside of work. When you are spending time with your children, you want to try to be fully in mom mode and not checking your work email/calls. You want to find a nice balance that will work for you. A lot of moms struggle with knowing the difference between taking care of themselves and feeling they are being selfish with their time. Some moms will focus solely on their children and helping others. However if you are always on the go, go, go around the home and/or work then you will have no time for yourself. I would recommend have weekly and then monthly check-ins with yourself to see how YOU are doing. If you find yourself feeling overwhelmed or not yourself then you need a break. Everyone needs a break to recharge. That is why taking vacation time off work is so important. It helps recharge and relax you so that when you return you are a better worker. You need to think of this when you take time away from your family to go on a girls trip, get a massage, take a gym class, etc. If you’re not taking this important time for yourself then you won’t be able to give the 100% of yourself you want to towards your family. Self care will actually help your family in the end and it is not selfish. It is needed. Accept that it is a normal part about being a mom. You want to first realize that you are feeling off in a certain way. If the feeling is guilt or FOMO then you want to explore what has made you feel this way. When you realize you are feeling guilt of missing out on seeing your child reach milestones when going to work then you need to accept that is a part of being a working mom. With time this feeling will get easier to manage. Refocusing thoughts. You can use CBT (cognitive behavioral therapy) techniques to help you notice your thoughts, and reframe and refocus them so that you are feeling less guilt and therefore can be more present when you are around your children. Professional therapists can be trained in CBT and you may find this kind of help beneficial. Seeing a therapist will also give you someone to talk to about your mommy guilt feelings without being judged. Take care of yourself. Your self-care is so important when you are a mom. You are stretched every which way to help everyone else. But who’s helping you? You need to take some time “off” to focus on what you need physically and/or mentally to be at your 100%. If you’re not at your best, then you can’t expect to help others. Remind yourself that there’s no such thing as perfectionism and you are doing your best. If you have been experiencing mommy guilt or notice another mom is then you may want to seek professional help to get support through it. Therapy is a great way to schedule time for yourself and focus on your self care so that you can be the best mom you can be. It can also be a space to vent your frustrations, fears, feelings of guilt, and whatever else comes up for you as a mom. I specialize in helping moms with their mommy guilt, baby blues, postpartum depression, and everyday stress. Feel free to reach out for help if you are a NJ or NY resident as I can provide video/phone sessions for where I am licensed. 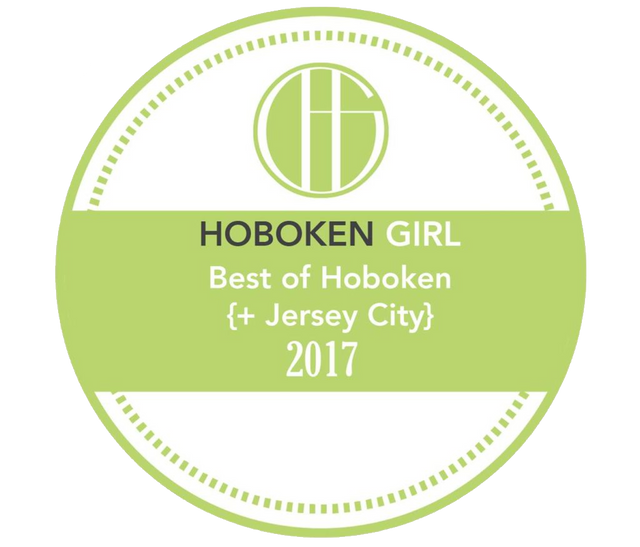 I am also located in downtown Hoboken, NJ for in-person sessions. is a licensed psychotherapist practicing in Hoboken, New Jersey. She specializes in helping teens and adults with anxiety, depression, and life transitions through counseling. Courtney can help NY or NJ residents through telehealth (video/phone) therapy sessions as well.